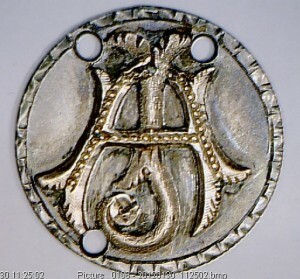 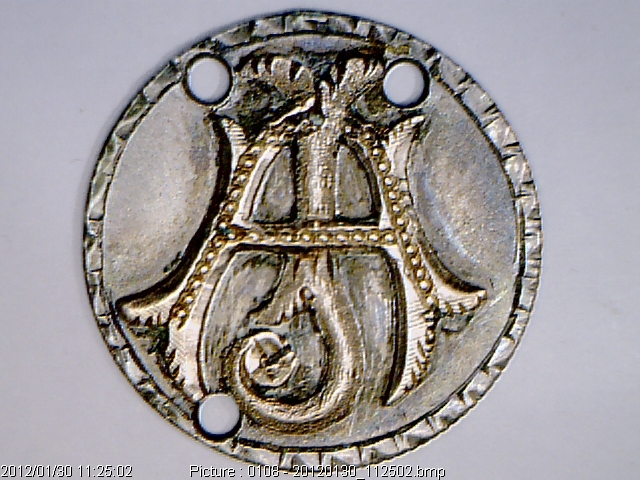 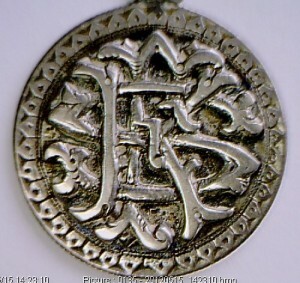 Below are love tokens which are embellished through the use of add-ons. 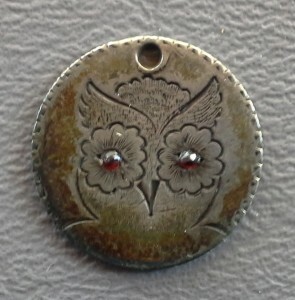 This section covers metal overlay and jeweled. 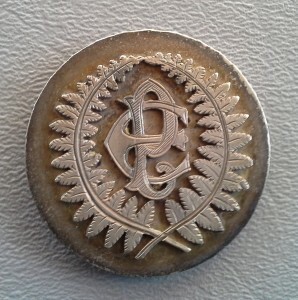 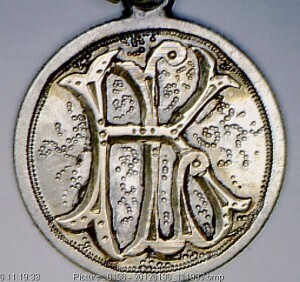 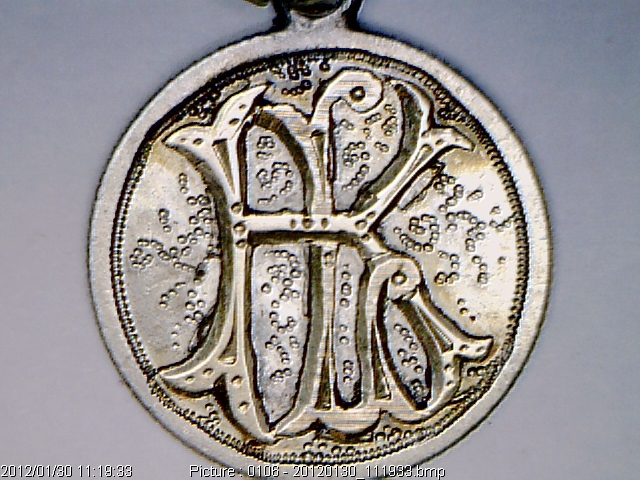 “JA” in gold on 1877 dime. 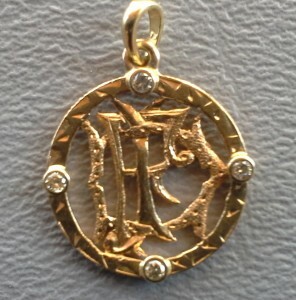 “LK” in gold on 1876 dime. 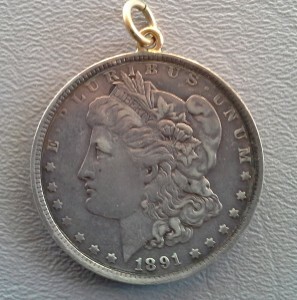 Morgan dollar overlaid “MAC” and “MARY 1882″ on banner. 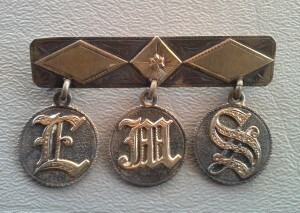 Nice raised and beaded border. 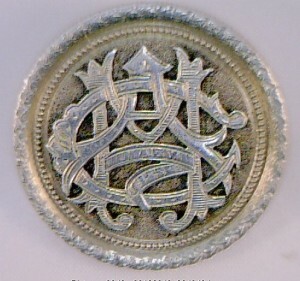 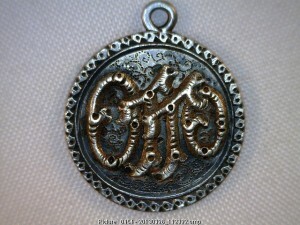 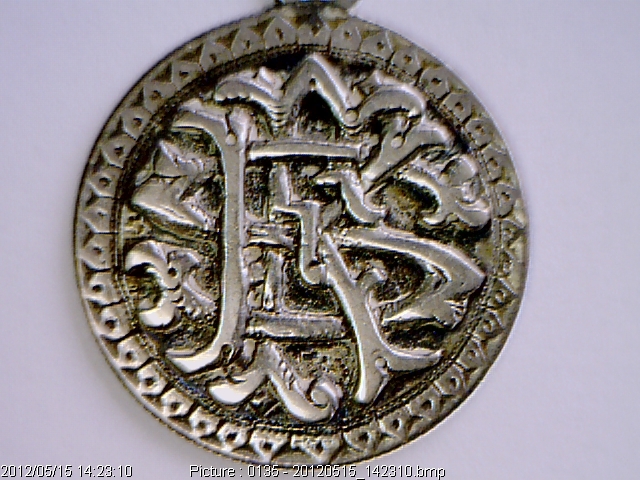 1876 dime with “SMJ” in silver. 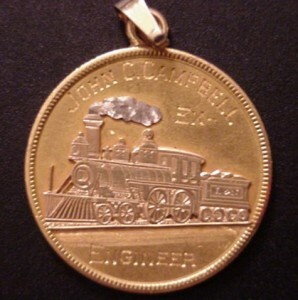 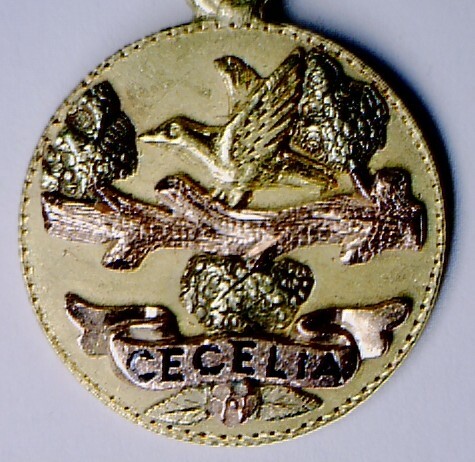 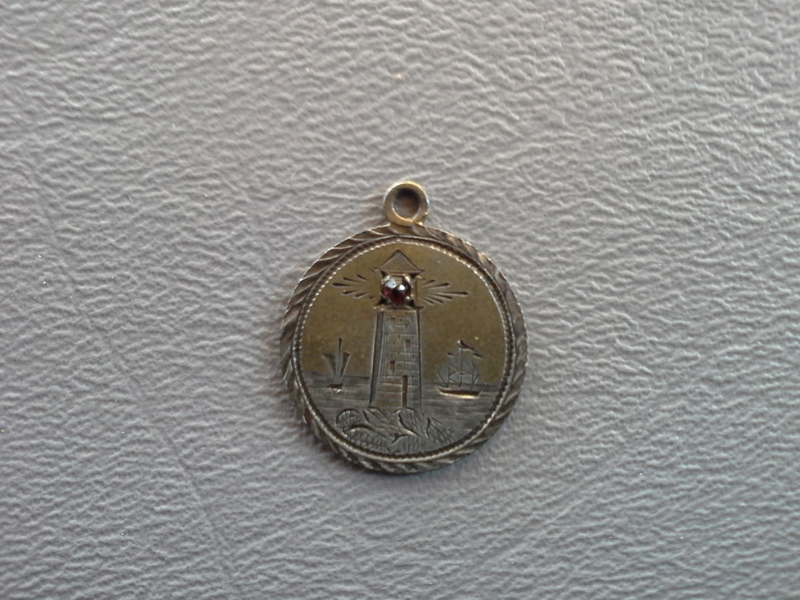 $2.50 gold coin with tricolor pictorial and enameled name. 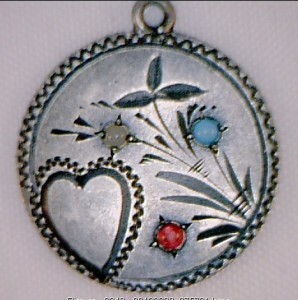 Pictorial overlay is a rare find. 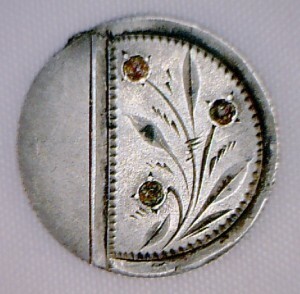 “FKS” in overlay on 1893 quarter. 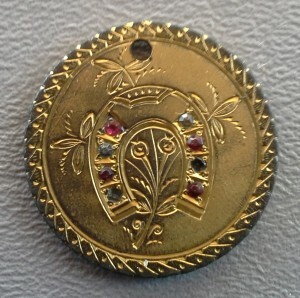 Gold overlay on Belgium crown. 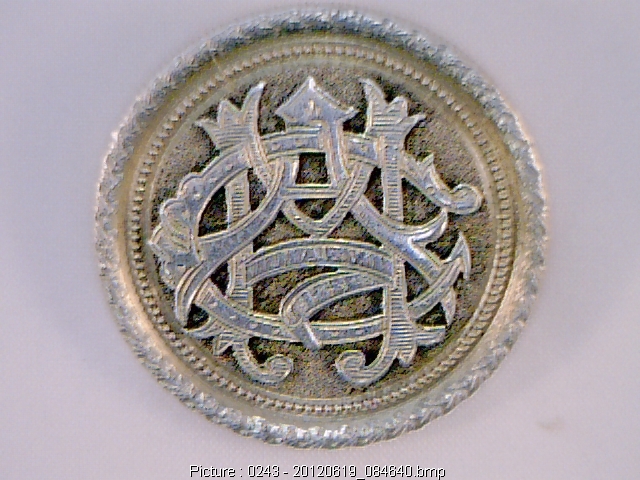 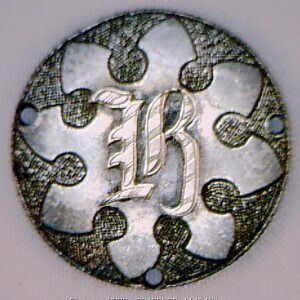 Silver overlay on French Crown. 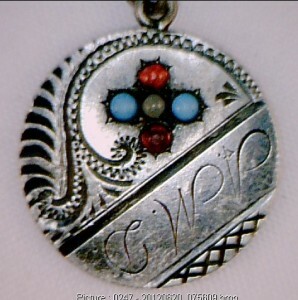 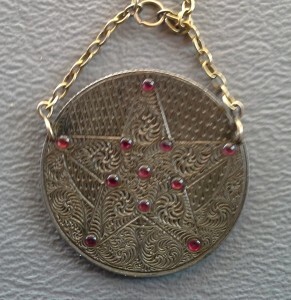 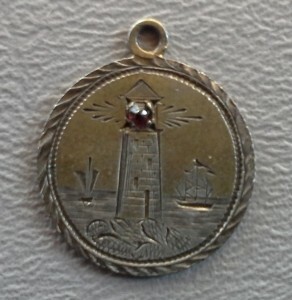 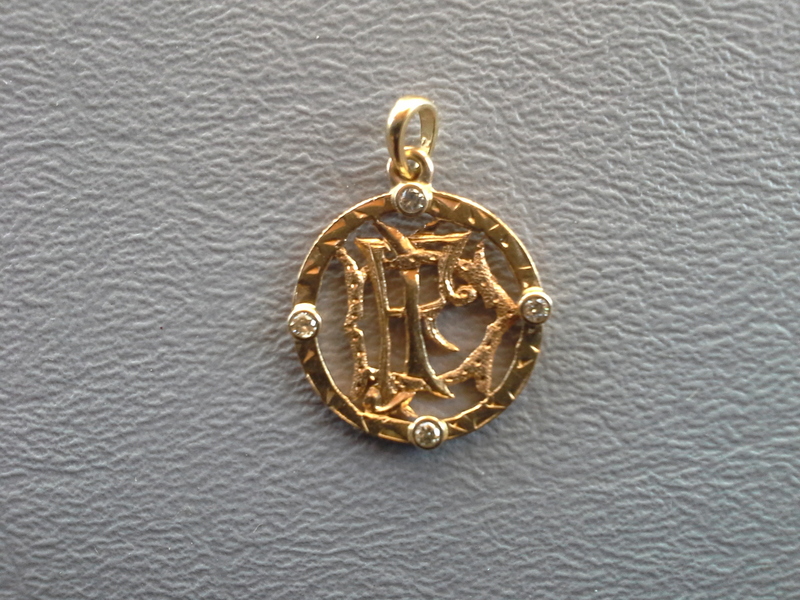 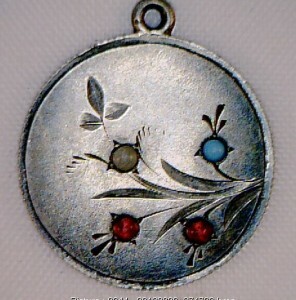 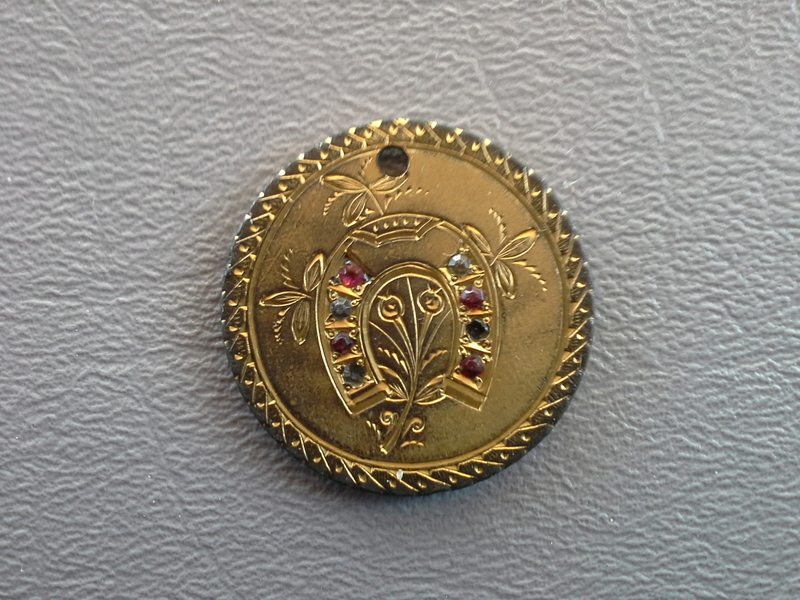 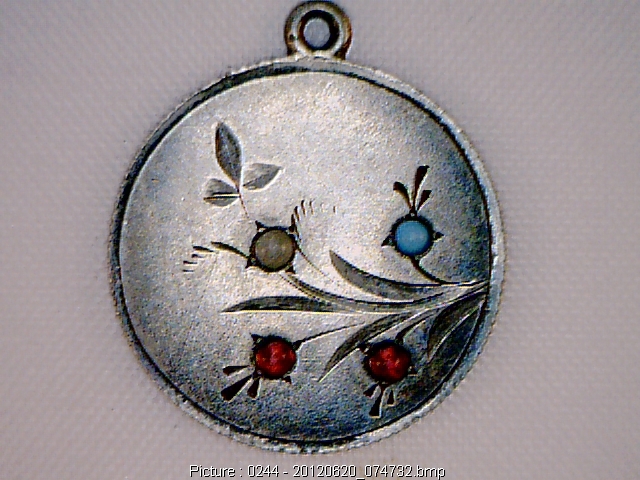 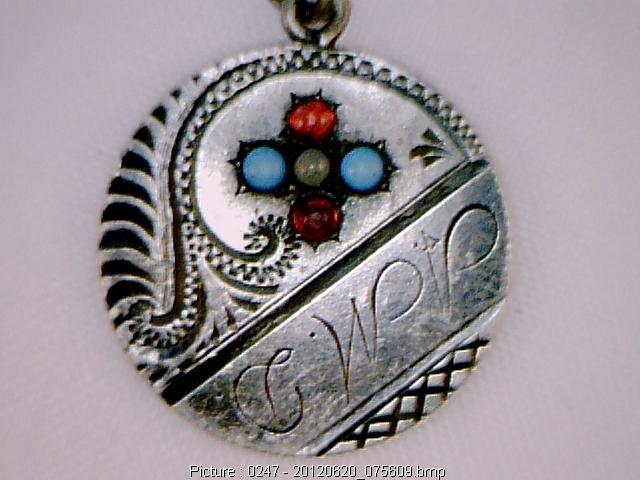 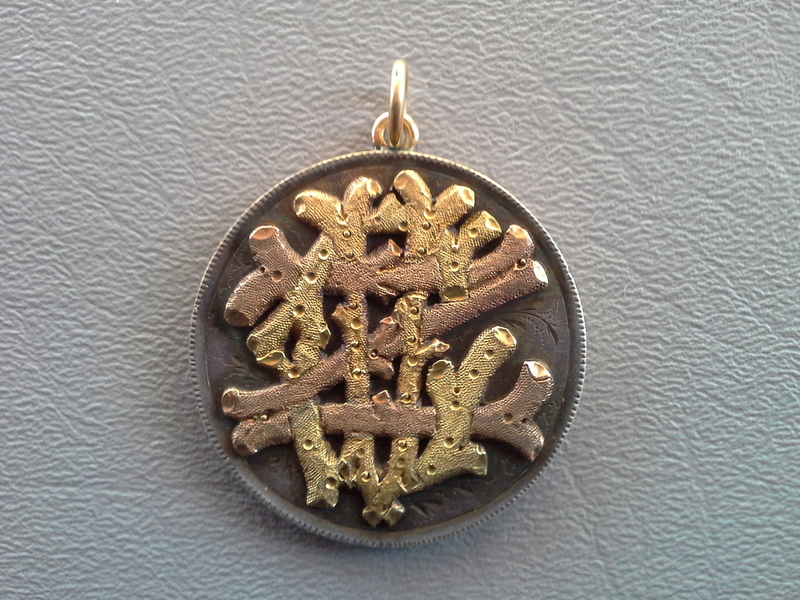 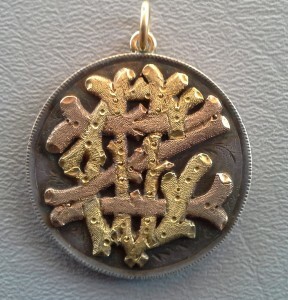 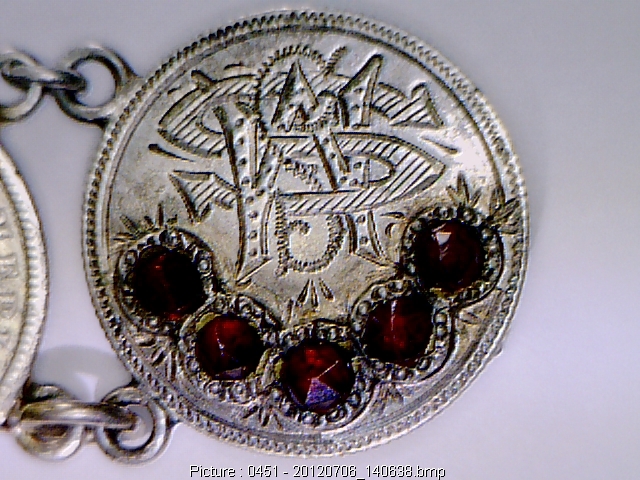 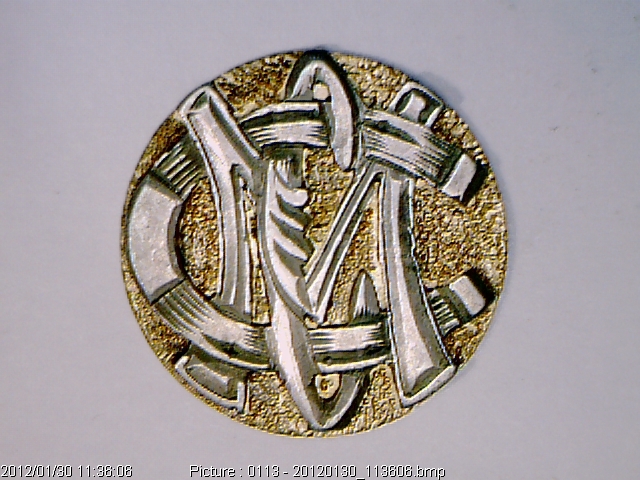 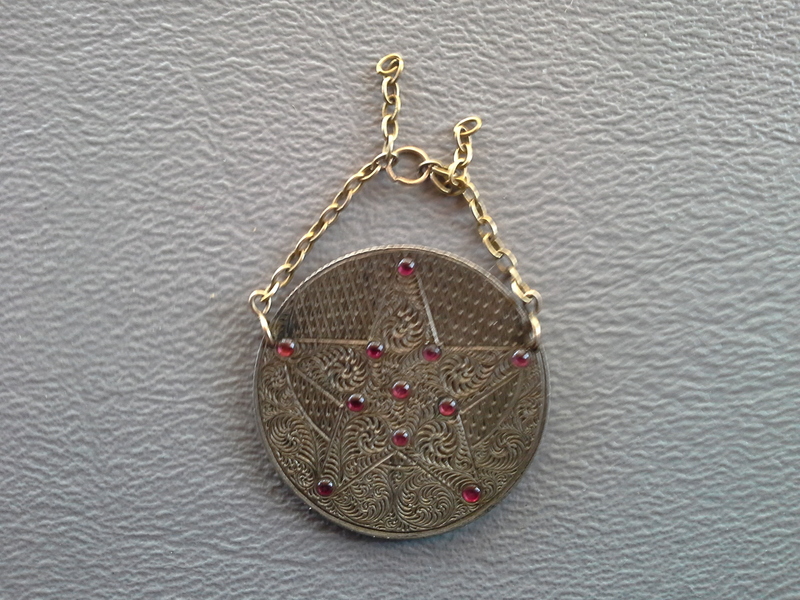 Obverse: Tri-color gold overlay locket. 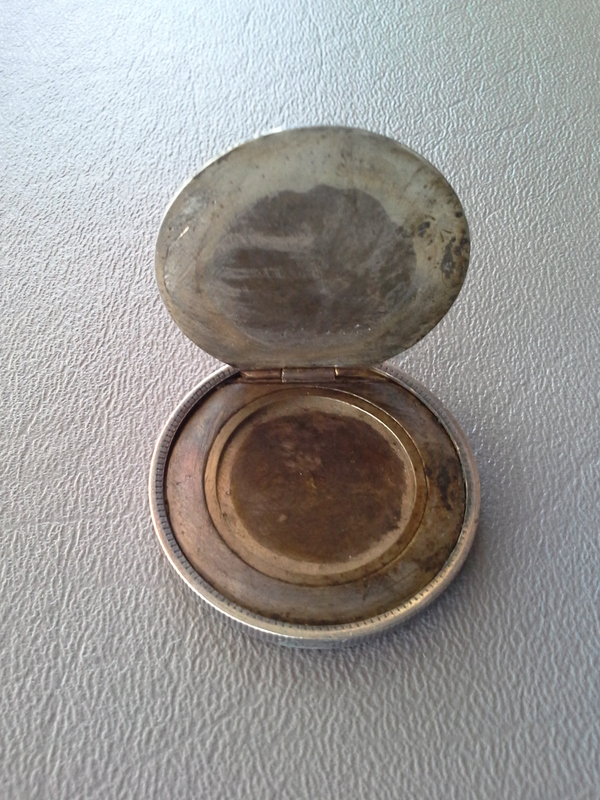 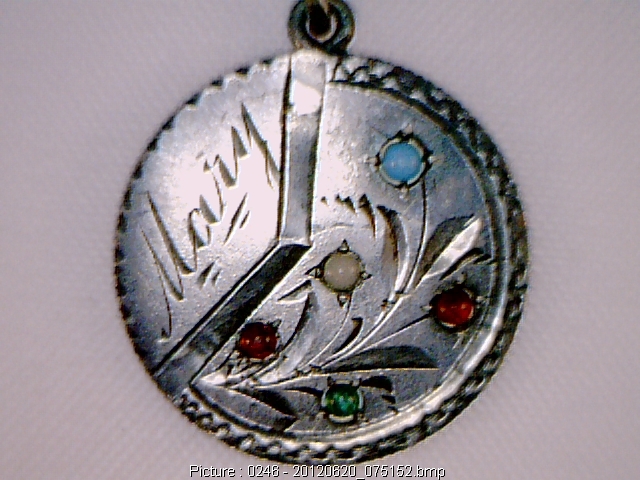 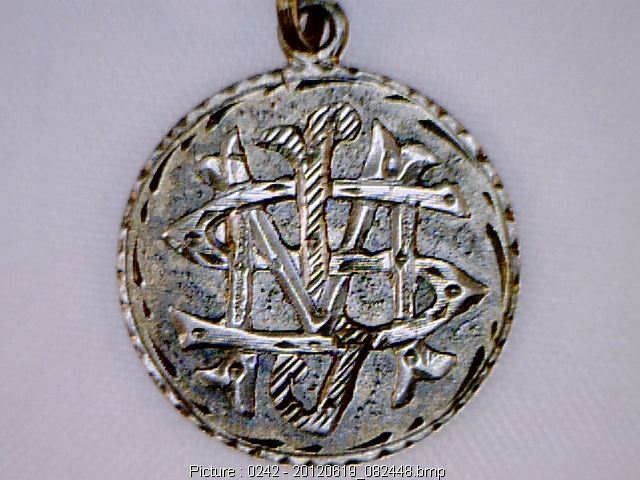 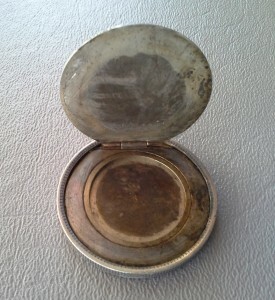 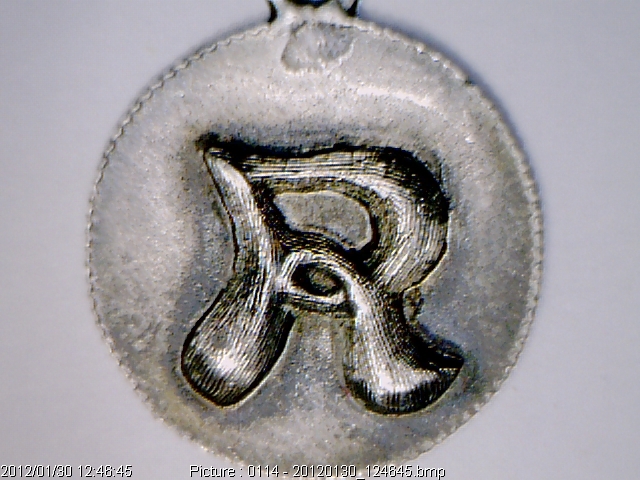 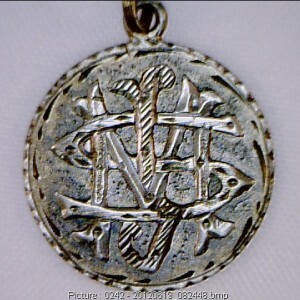 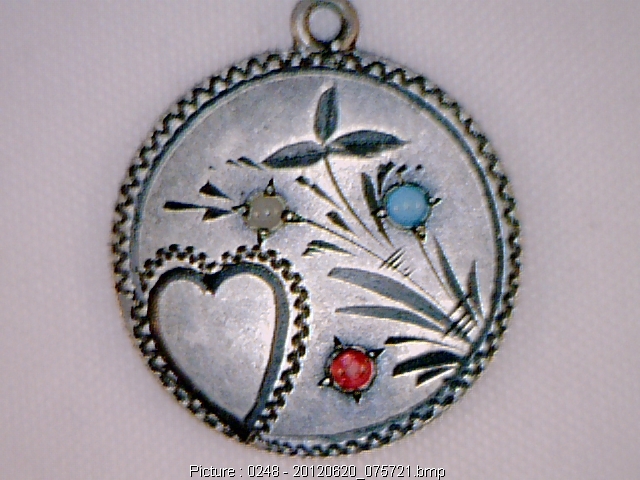 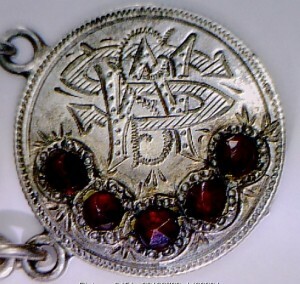 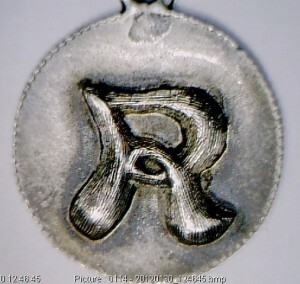 Locket in open position. 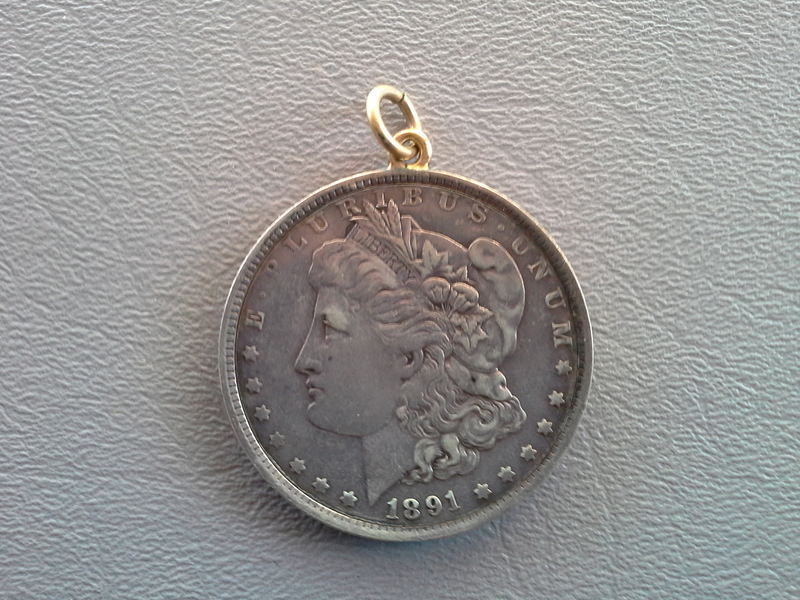 Reverse: 1891 Morgan dollar locket. 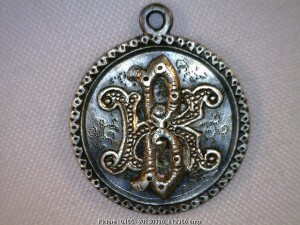 “B K” on a 1886 dime. 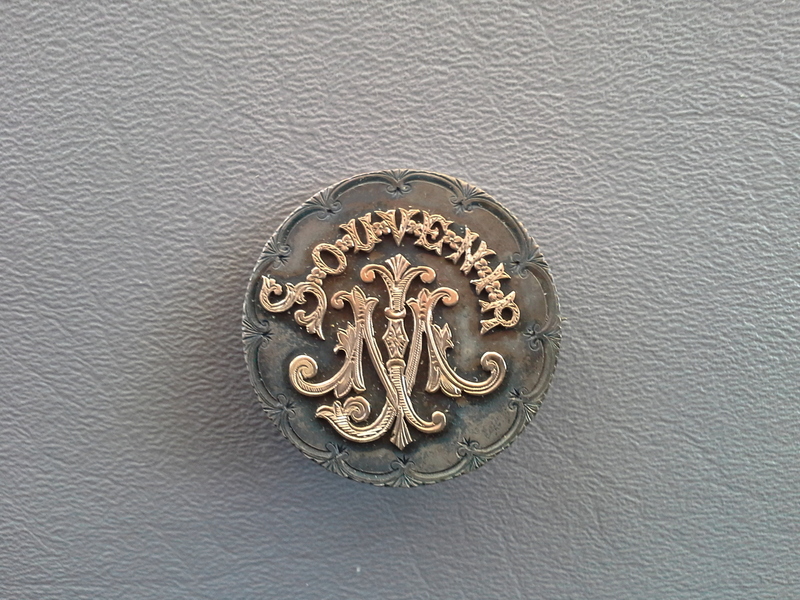 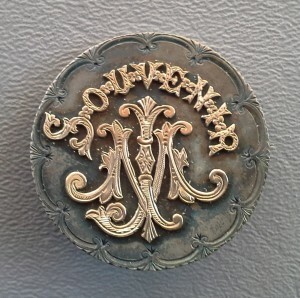 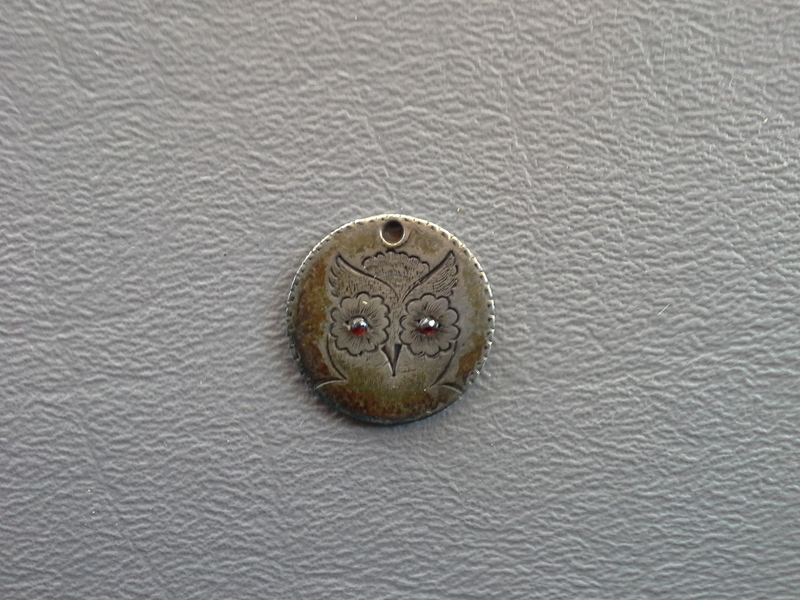 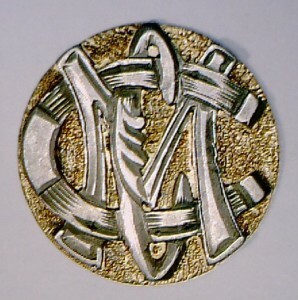 “E M S ” dime bar pin with gold overlay. 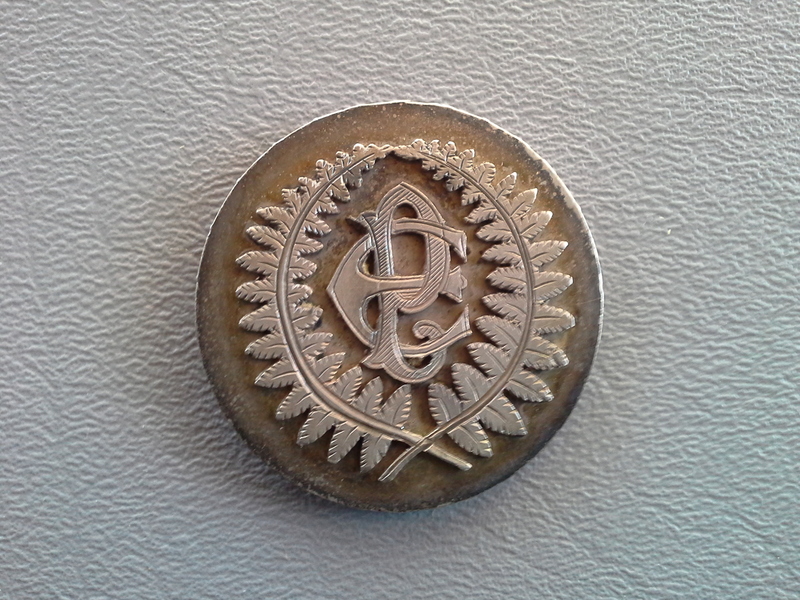 “Otto” on a 1887 dime. 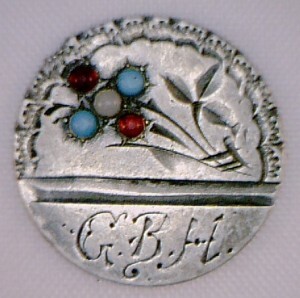 a stickpin. 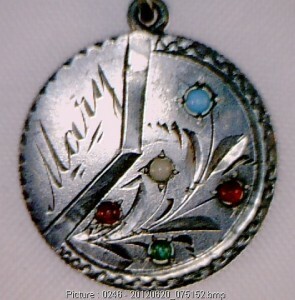 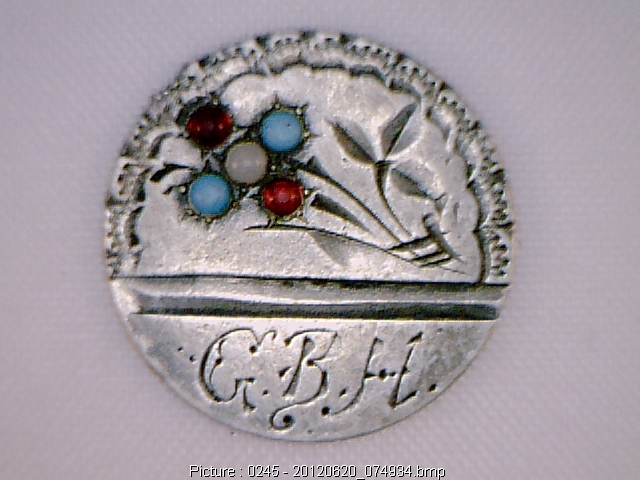 Engraved “Mary” 1894 dime with floral sprig. 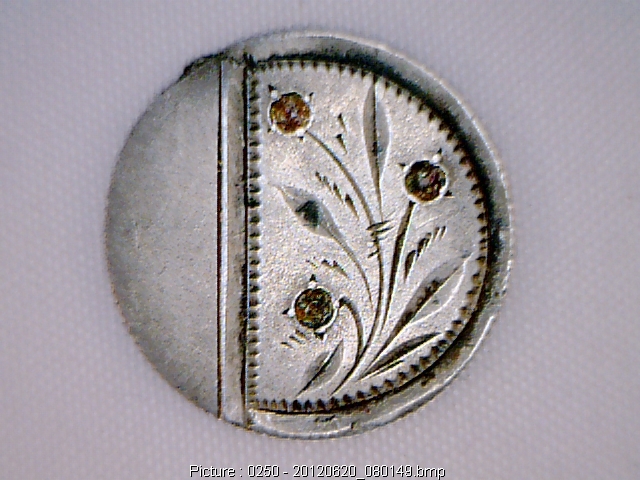 1891 dime with nice scrollwork.